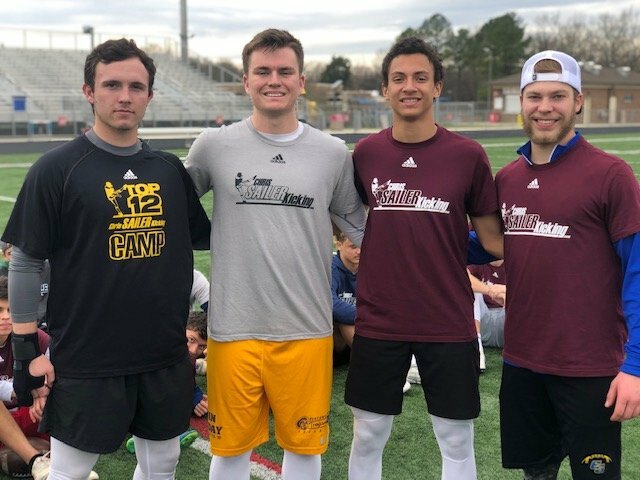 2018 NC Spring Camp Recap – Nolan Parris Steps Up! 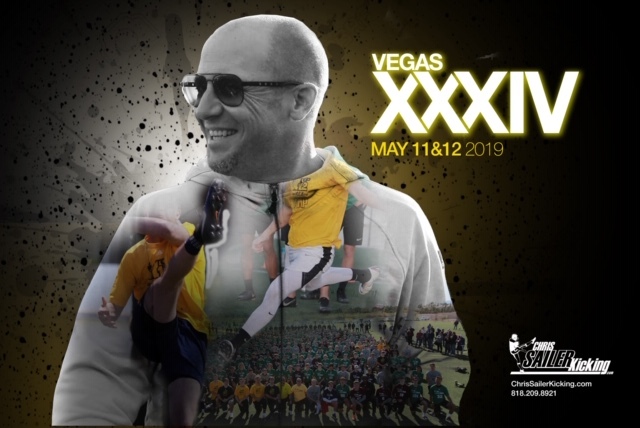 The road to Vegas XXXII is hitting stride as athletes from around the nation are preparing. The most recent camp on the 2018 Chris Sailer Kicking Spring Camp Tour took place in Charlotte on March 11th. 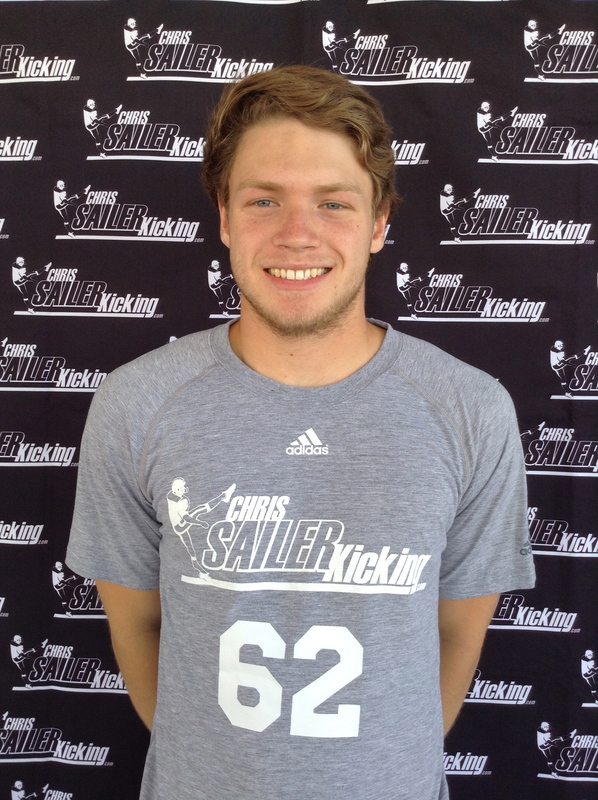 North Carolina has become a hotbed for kickers, punters & long snappers over the past decade. 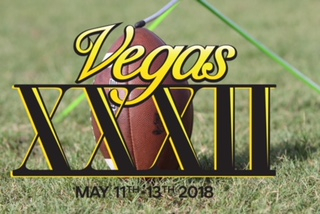 Camden Lewis, Ben Kiernan & Evan Davis ‭of NC have already earned invitations to the TOP 12 Camp and many others will have a real shot coming up in Las Vegas this May. Take a look at the results. 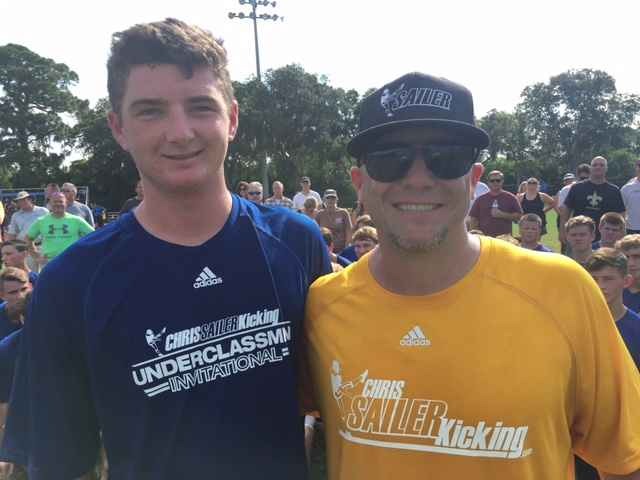 Nolan Parris (2019, NC) – The longtime Chris Sailer Kicking student is really starting to come into his own. 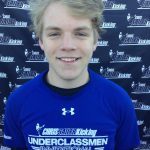 He shows great ability in all 3 skills (field goal, kickoff & punt). 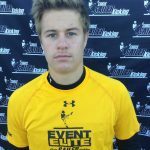 On this day he won the field goal completion by staying smooth and consistent all day and showing he had 50+ yard range off the ground. Nolan is a fantastic prospect that should dominate Vegas XXXII and challenge for a TOP 12 spot. 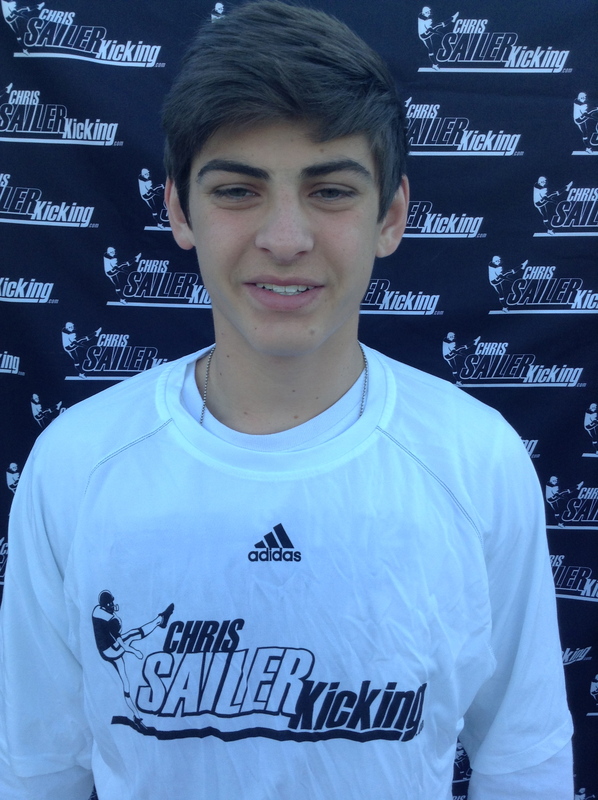 George Georgopoulos (2018, SC) – George has had a tremendous run with Chris Sailer Kicking over the past 6 months. 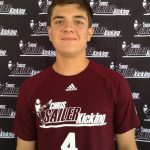 He was the Kickoff Champion at the 2017 NC Fall Camp. 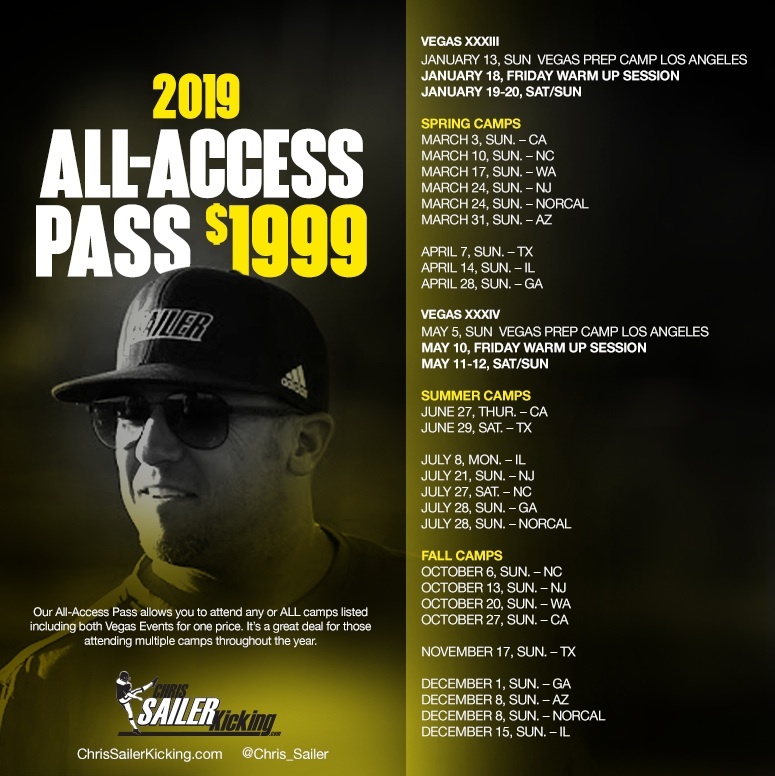 He followed that up by winning the overall Punt Championship at Vegas XXXI. Then signed a full scholarship with UMASS as a much deserved reward for his performances and abilities. He dominated kickoffs once again in NC and continues to prove that he will be special at the next level. 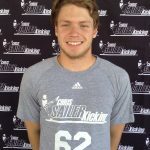 Jonn Young (Transfer, NC) – Jonn is a punter that is transferring from West Virginia where he was on full scholarship. He still has 4 to play 4 and should be eligible immediately. 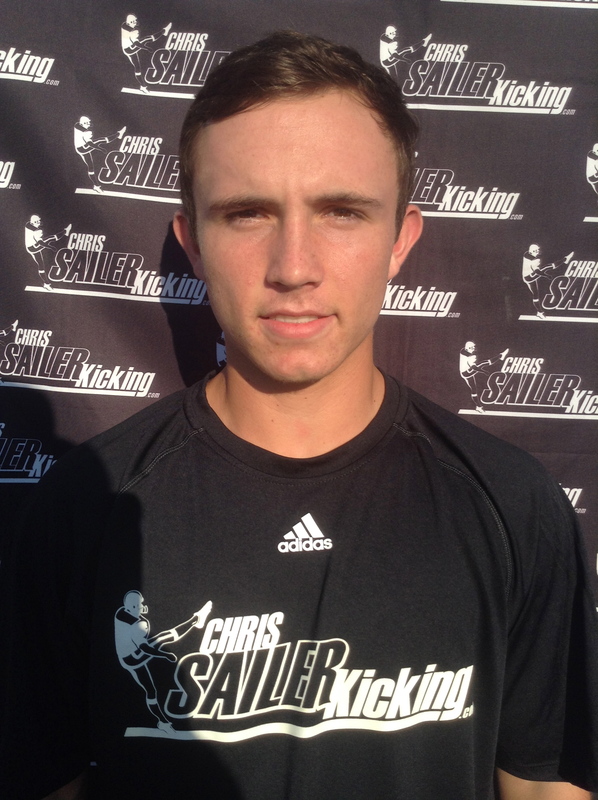 The longtime Chris Sailer Kicking student and former TOP 12’er & Vegas Punt Champion is a fantastic prospect. 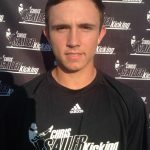 He is the compete package as a punter. 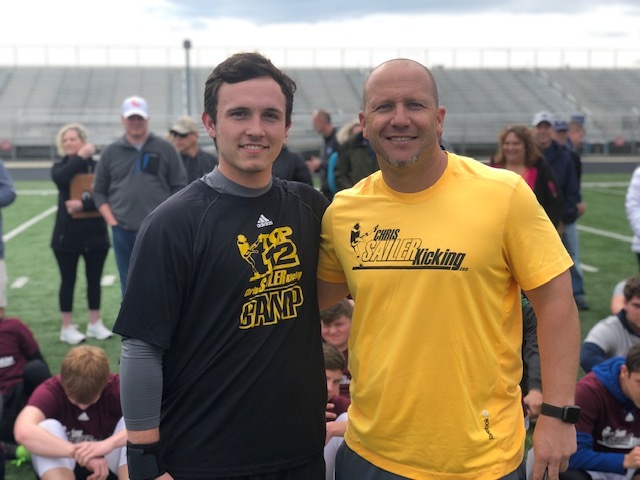 His hands and footwork are clean, he is a smooth and consistent performer, he can directional punt with ease & he shows the ability to hit a big ball. He will make a fine addition to any college football program. Top 2018 Prospects: George Georgopoulos, Jonn Young, Timo Bronn, Jimmy Chambers. 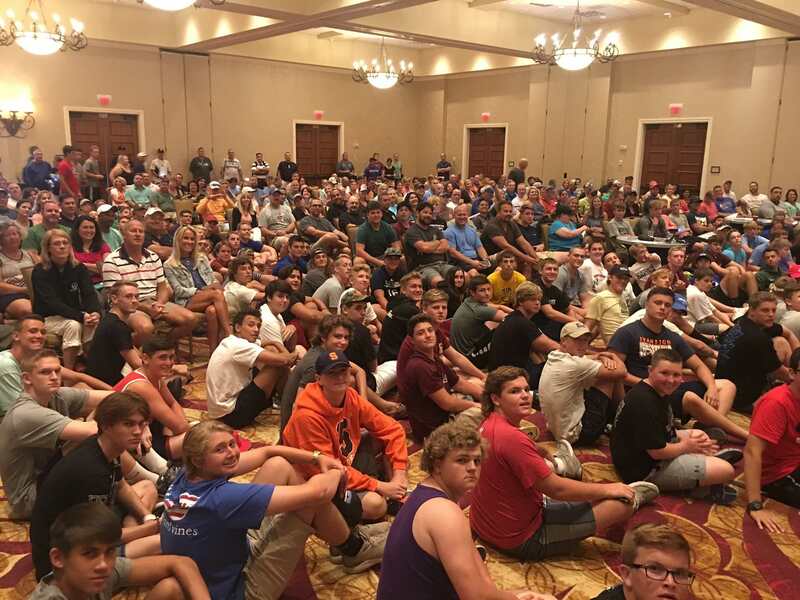 Top 2019 Prospects: Camden Lewis, Nolan Parris, Jason Stricker, Patrick Nations, Collin Smith, Avery Musick, Hunter Benton, Devin Baldwin, Jeremiah Kim, Logan Lupo, Justin Johnson, Mills Herlong, Will Griggs, Landon Fogleman, Brandon Dickerson, Avery Funderburk, Andrew Jenkins, Creed Ramsey, John Price, Lance Calcutt, Ryan Kasper, Zachary Baber. 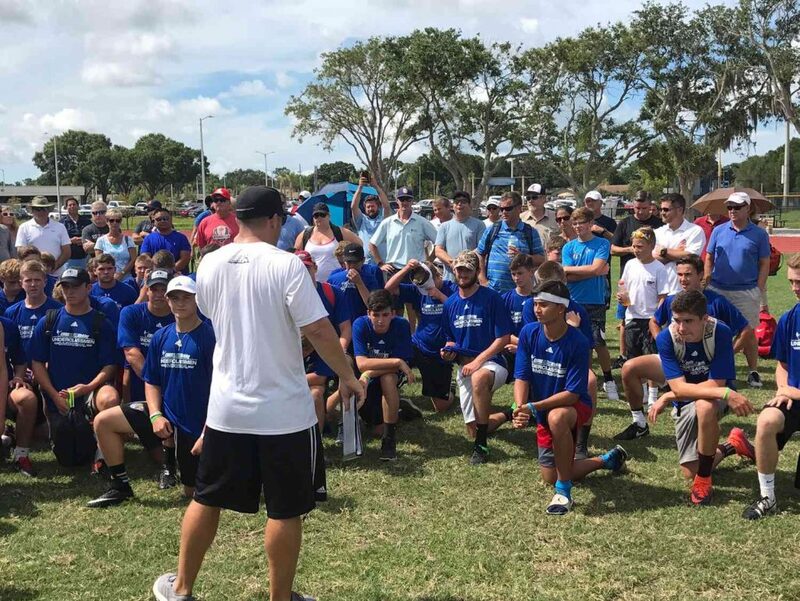 Top 2020 Prospects: Holt Cloninger, Noah Burnette, Andrew Brown, Aidan Clark, Austin Browning, JonMichael Elliott, Luke Mickan, Tanner Robbins, Edward Dellinger, Henry Bishop, Jared Griffith, Jackson Kennedy. Top 2021 Prospects: Zane Smith, Bailey Owens, Ayden McCarter, Brady Aldridge, Bryan Francis, Landon Knepp, Hunter Crupe IV. 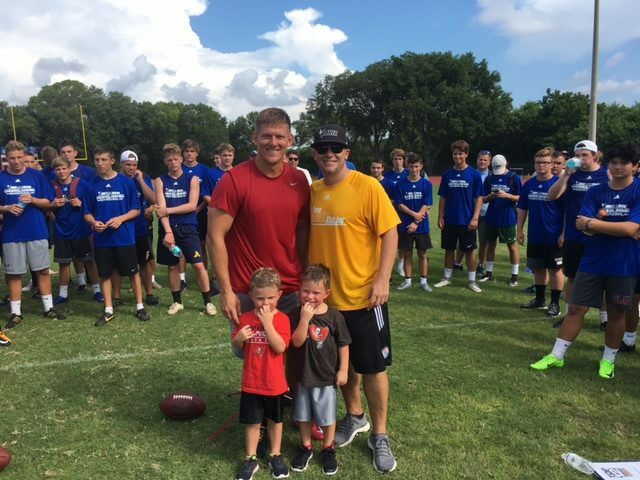 Future Stars: Zane Davis, Cole Jordan. Evan McPherson Comes Out On Top In Charlotte! 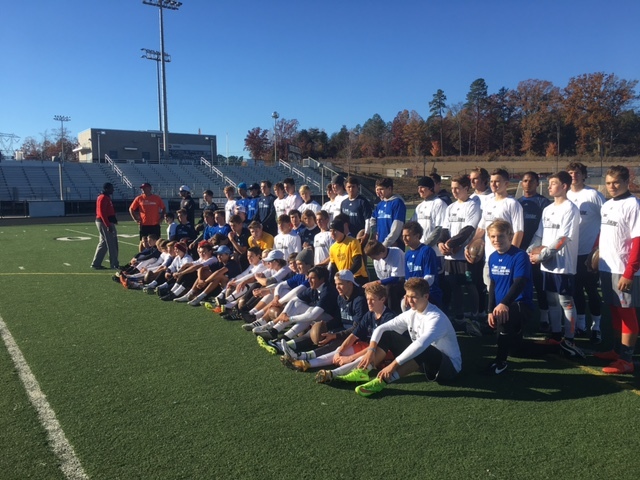 The road to Vegas XXIX continued with a stop in Charlotte, North Carolina on November 20th. 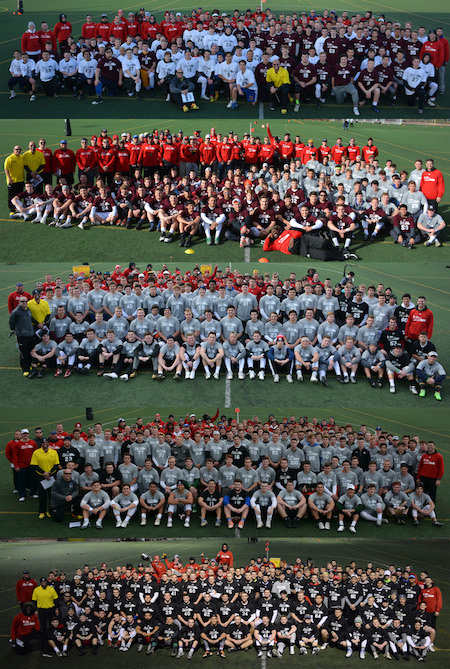 This was the largest fall camp to date filled with big time talent. 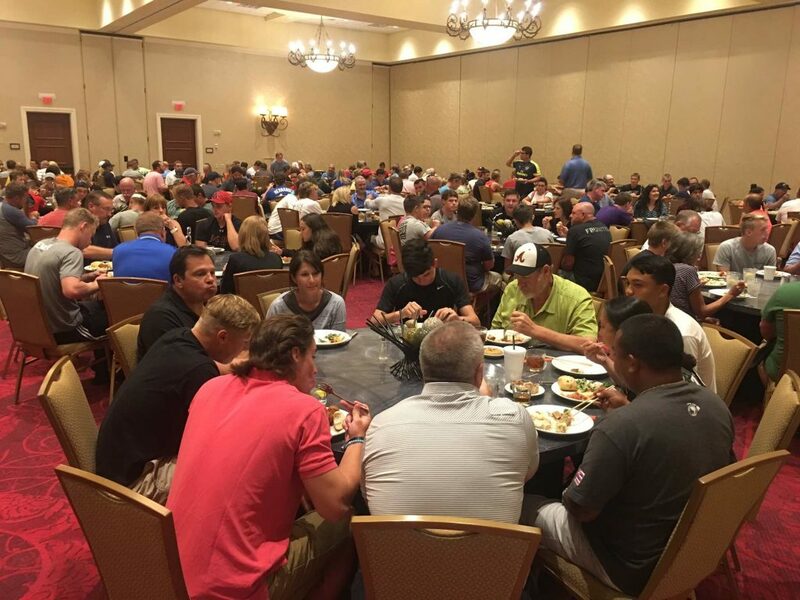 Dozens of athletes in attendance will soon be making an impact on Saturdays. The competition to make TOP 12 is heating up. Take a look at the results. 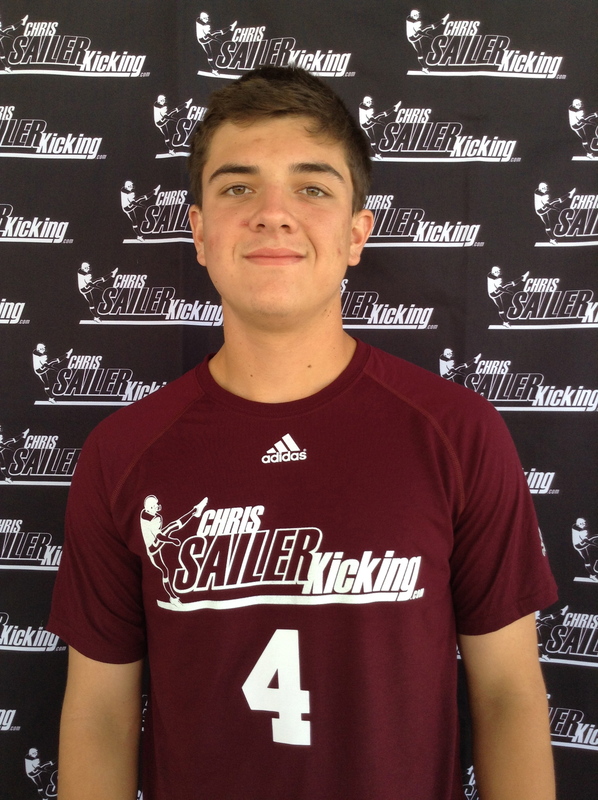 Evan McPherson (2018, AL) – The longtime Chris Sailer Kicking specialist is the real deal. 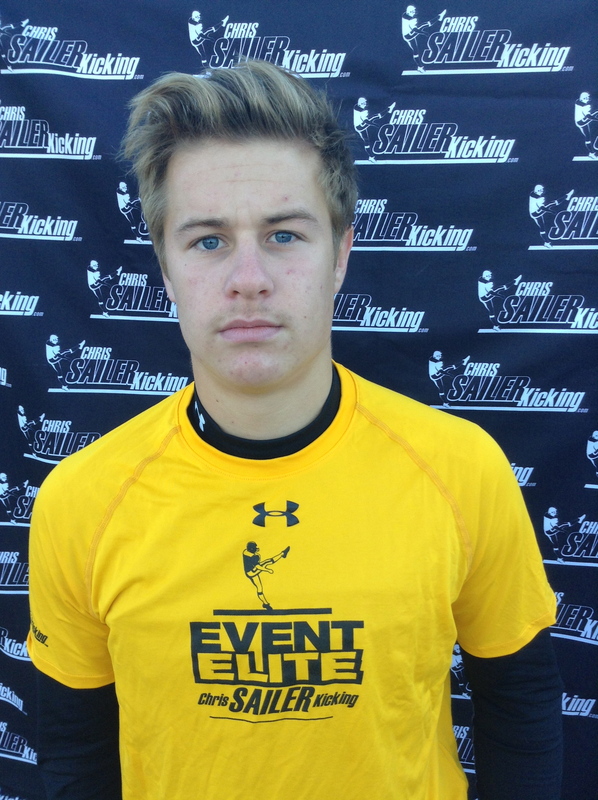 He is smooth and accurate on field goals and kicks with great consistency. 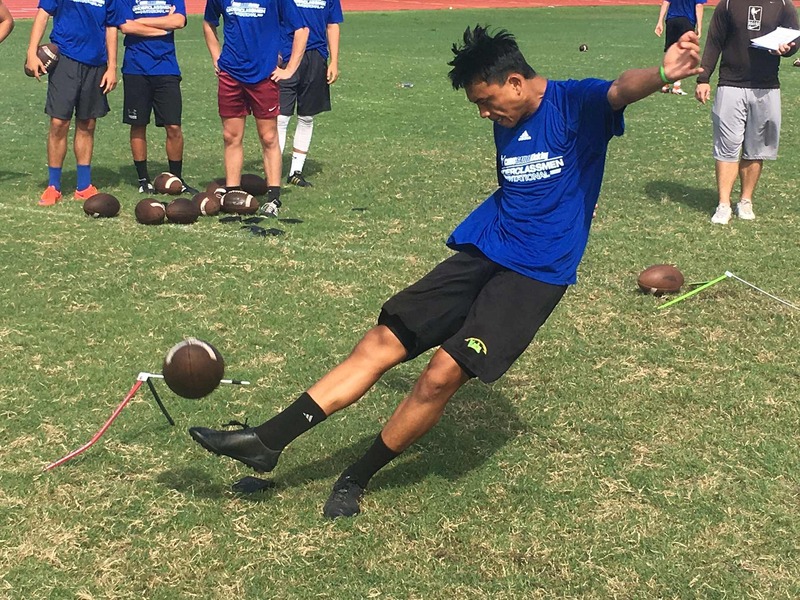 He has a D1 kickoff leg. 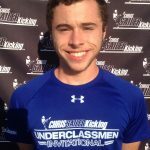 On this day he won the kickoff competition by hitting several balls over 70 yards with 4.0+ hang time. 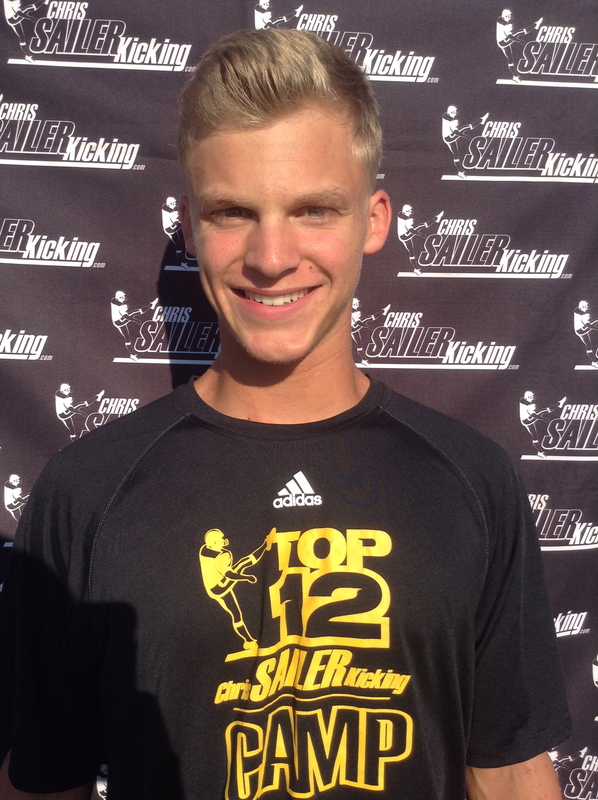 Evan is also a strong punting prospect. Overall he is a confident performer that does very well under pressure. 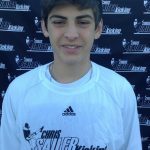 Nicolas Sciba (2018, SC) – Nicolas is proving that he has the tools to be an excellent college kicker/punter. On this day he won a major field goal competition by hitting on 90% of his field goals with range up to 55 yards. He averages over 65 yards on kickoffs with solid hang time. He is also one of the more consistent punters in his class. Nicolas has a great head on his shoulders and competes with the best of them. 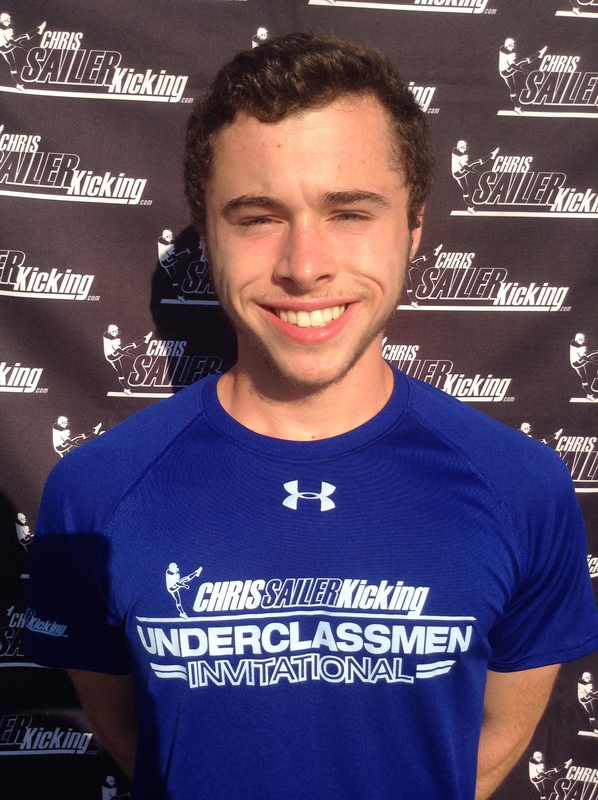 Chris Dunn (2018, NC) – The longtime Chris Sailer Kicking specialist and Event Elite member is simply outstanding. He is one of the strongest competitors that I have ever had the privilege of coaching. He hits an extremely accurate ball and is unfazed. He is also strong on kickoffs. 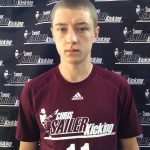 Chris is one of the most mentally ready high school players in recent years. The NC State commit is special. 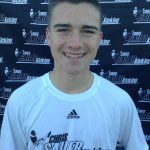 Camden Lewis (2019, NC) – Camden is starting to make some serious noise. 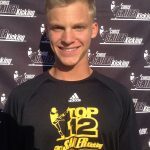 He is a great young athlete that is competing at the highest level. 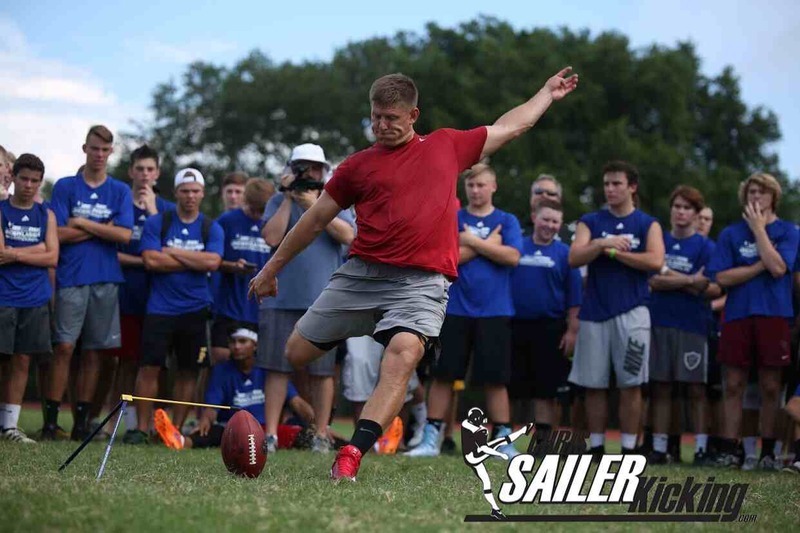 He won a major field goal competition by nailing 8 straight field goals without a miss. He is also well above his class on kickoffs. Look for Camden to be one of the very best in his class. 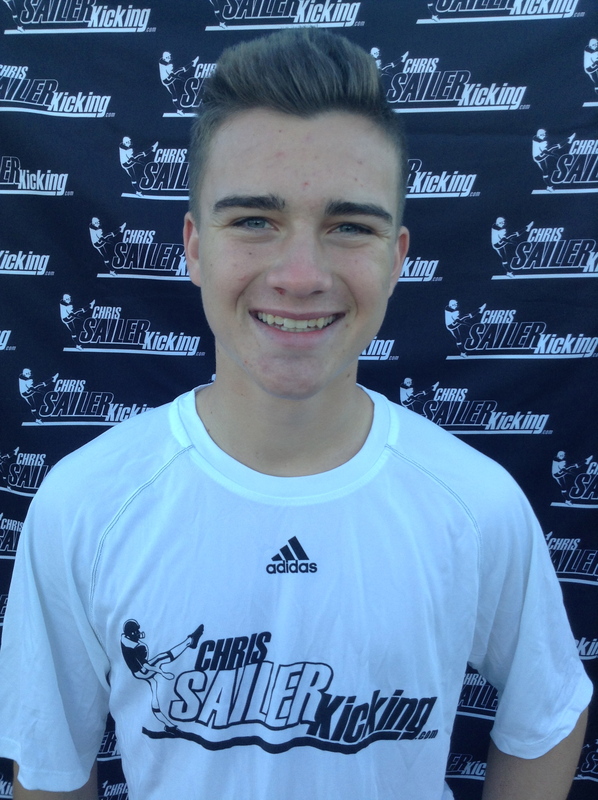 John Brosnahan (2018, NC) – John has dominated several Chris Sailer Kicking camps with his consistency. He averages well over 40 yards with 4.5+ hang time. His footwork is solid and he’s able to control the ball well. 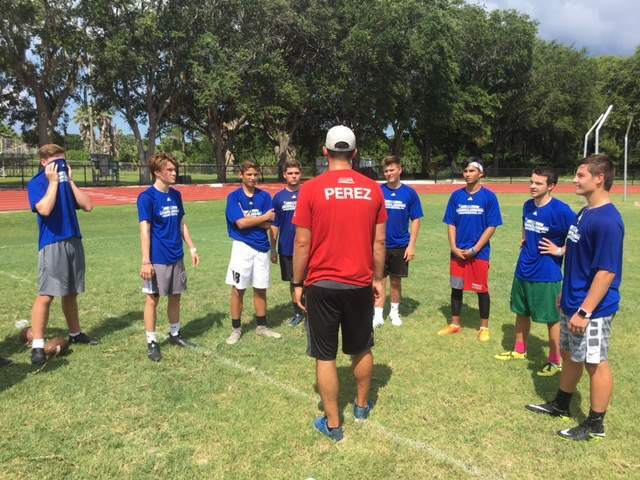 John has the tools to be excellent at the next level. 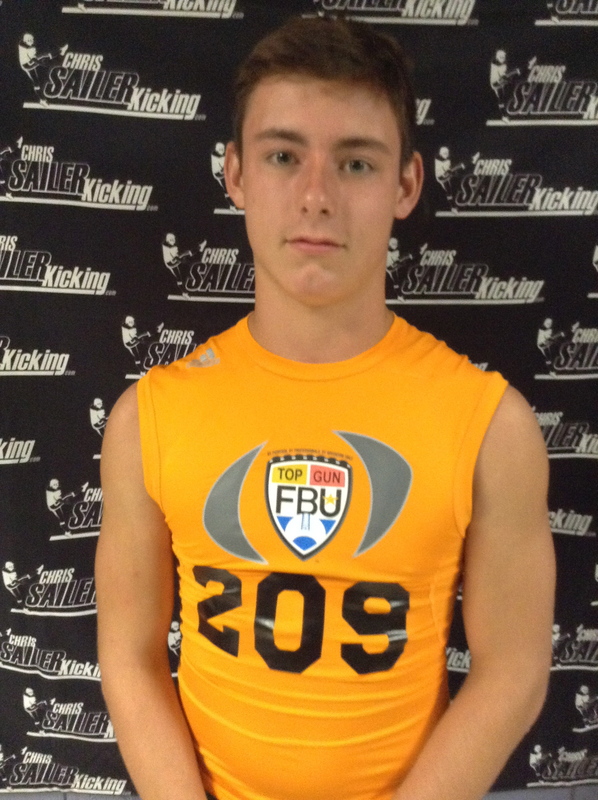 Tommy Martin (VA) – Tommy is a big time prospect. 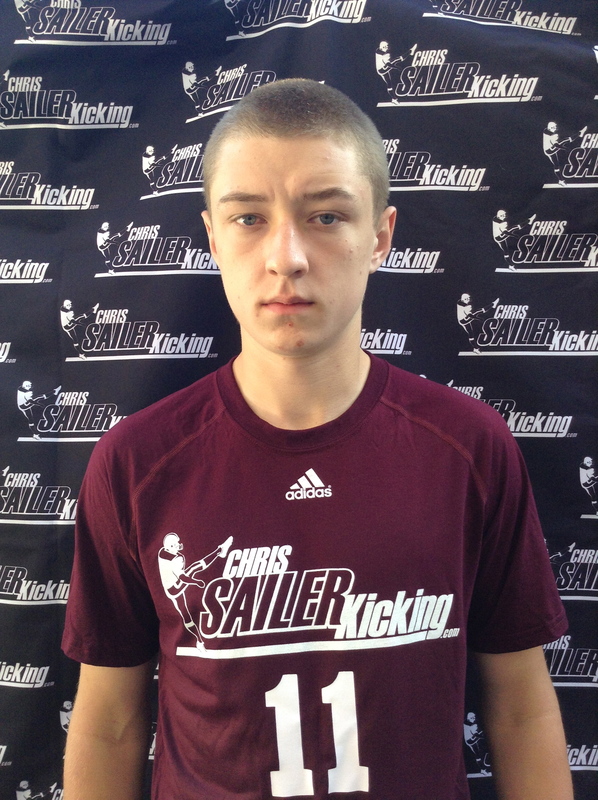 He is a top 5 national punting prospect and a top 25 national kicking prospect. 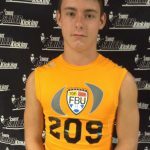 A great athlete that has the tools to compete and excel at any college level. Tommy is a competitor that does very well under pressure. OFFER NOW!!! 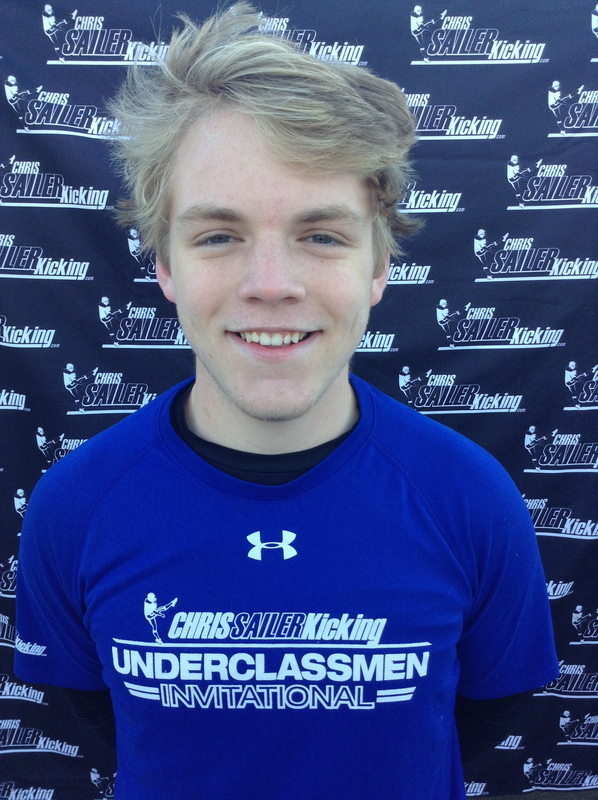 Skyler DeLong (SC) – Skyler is one of the best all around kicking/punting prospects in the nation without a doubt. 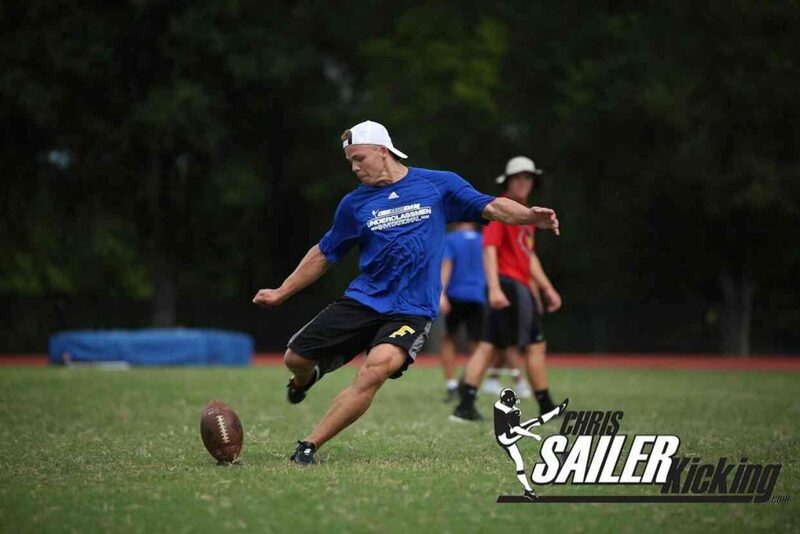 He has great range on field goals off the ground, kickoffs are college ready, and he crushes punts. 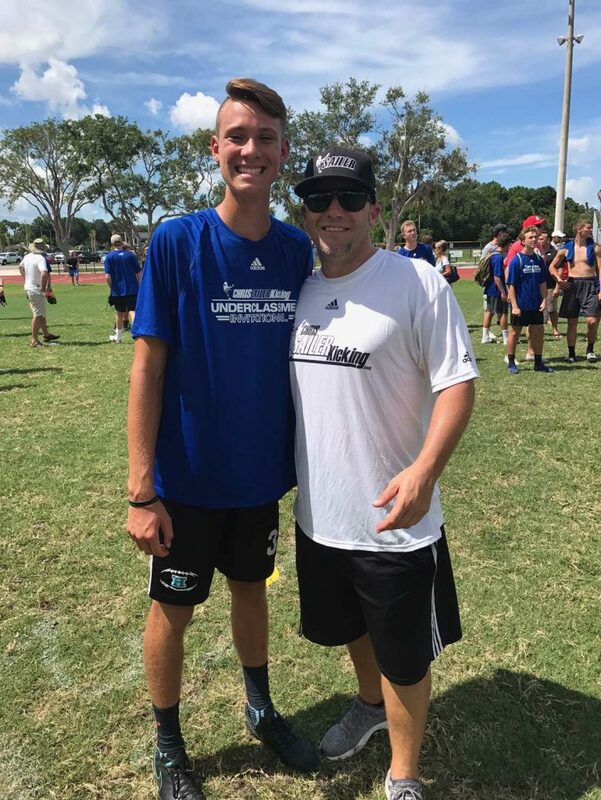 Skyler has all the tools to earn a D1 scholarship.